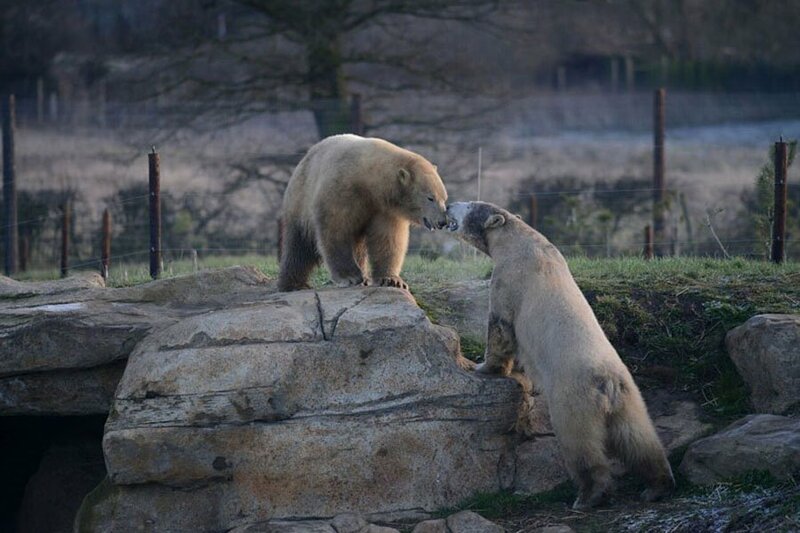 A global effort to save the Arctic Sea ice habitat for endangered polar bears is being backed by the Yorkshire Wildlife Park and the charity the Yorkshire Wildlife Park Foundation. The park, home to four majestic polar bears, has joined the call to the public to save energy to reduce the global warming that is devastating the Arctic ice cap. Arctic Sea Ice Day, which takes place on Friday July 15 with events around the world, is focusing on the drastic reduction of the minimum ice levels which are declining by 13.4% per decade. The diminishing ice, which supports a vast eco system of animals and plants, poses a huge threat to polar bears whose hunting grounds are vanishing. “The Arctic is far away and vast so people don’t necessarily realise that the sea ice is rapidly receding and animals, such as polar bears, are struggling to survive,” said Cheryl Williams, Trustee of the Yorkshire Wildlife Park Foundation. YWP is part of the international programme to protect the species and its 10-acre Project Polar Reserve – home to the country’s only polar bears Victor, Pixel, Nissan and Nobby – is a unique centre for conservation and welfare and one of the largest polar bear reserves outside Canada. The reserves of Project Polar have rolling hills, lakes and caves mirroring the Arctic summer tundra. Visitors are mesmerised by the four bears playing together and diving – the largest lake is 8m deep and an acre in size. Polar Bears are one of many species that depend on the Arctic Sea ice, using it to hunt and build winter dens for birthing. Every year, they are forced ashore earlier in the summer because of warmer conditions while the winter ice is taking longer to form and depriving them of food. The condition and survival of many adult polar bears and their reproductive success is tightly related to their fat stores. Females who are in poor condition have smaller litters and smaller cubs that are less likely to survive. Arctic Sea Ice Day organisers say the public can help with small changes to their shopping, eating and living habits such as buying less meat and choosing sustainable foods to help reduce carbon emissions. Making sure lights are switched off and unplugged and keeping the thermostat at 18C or below would also reduce C02 emission. “We stand at a point of no return; we can continue on this detrimental path or make a choice to change the way we live our lives,” added Ms Williams. YWP, which puts conservation at the heart of all its activities, is the UK’s fastest growing and most innovative walk through experience. Visitors come almost face to face with some of the world’s most beautiful and rare animals, including Amur Leopards, Tigers, Painted Dogs, Giraffes, Lemurs and many more. YWP is at the forefront of many international breeding and conservation initiatives and the Yorkshire Wildlife Park Foundation raises money for conservation and welfare projects overseas.